We invite you to experience the charm of Walterboro’s finest residential rental address. 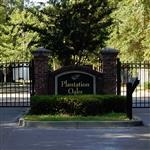 Plantation Oaks Apartments is a comfortable and affordable gated community which offers the very finest in residential living. and luxury come at an affordable price. Spacious one, two and three bedroom apartments with large walk-in closets. You’ll have access a resort style pool, lighted tennis court, playground, nature trails, and more.